If you do decide to adopt a strong brand belief you’ll certainly stand out and be memorable – which is one of the simple secrets to business growth from a messaging and a positioning perspective. Ask yourself how is your business or brand different from other suppliers who offer the same product or service? A brand formed on a strong belief can help you communicate and be the difference in the market. Expressing your beliefs or values can be tricky for some businesses who want or feel the need to be popular, compliant, neutral or safe. To fit in is to be accepted right? But then, I’d advise, how are you going to stand out in a crowd if the prevailing colour is vanilla and you’re looking and sounding just like them? The psychology and core fear here is about being perceived as different, alien or ‘outside the herd’. Understandable perhaps, but why are you in business again? To simply fit in? Other businesses may choose to remain politically correct or non-offensive for fear of offending established clients or deflecting new prospects away. Fair enough, that’s your choice, its your business. This is where a brand personality can be of value to help determine and underpin the brand strategy. The brand strategy serves to create a distinct platform and positioning for your business that customers can identify with – with or without the controversy. This brings to mind a core brand truism – ‘most businesses strive to be the ‘best’, when the goal for business growth is really just to ‘be different.’ Ego has a lot to answer for! Being ‘the best’ in truth has the opposite desired effect – counter-intuitively you simply fit into the status quo or established order and that’s precisely when you lose your uniqueness or difference. Here’s the ultimate brand paradox insight: most ‘successful’ brands strive to be part of the mainstream when establishing themselves and then struggle to distinguish or create distinction from the mainstream, once they’re established. 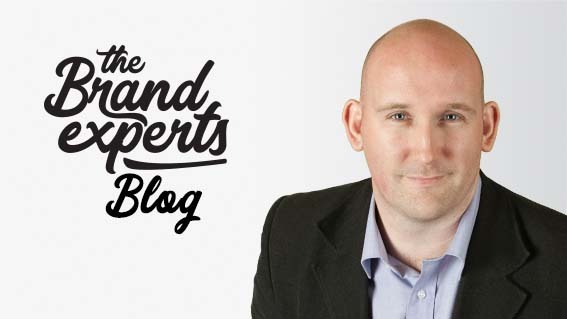 The Brand Experts blogs’ purpose is to inspire, educate and impart brand knowledge and insights that help businesses see themselves and the world differently.